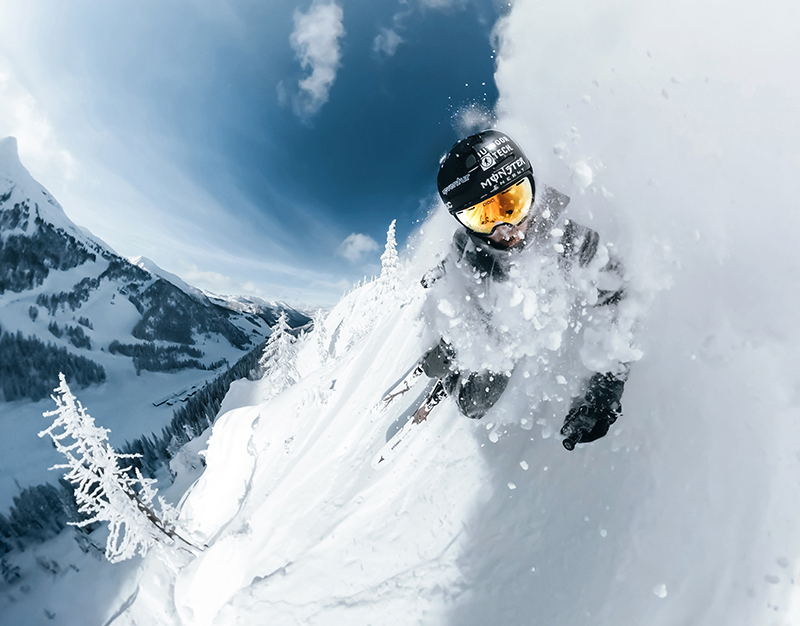 GoPro Awards recipient @tjwallasch skied his way to $500 by submitting the Fusion POV shot above. Mother Nature has delivered all the goods to make for an epic season, so joining the #GoProSnow Challenge is easier than ever. Just grab your GoPro, rally the crew and head to your local mountain. * After you capture yourself sending it, submit the best stills, raw clips or video edits to GoPro Awards. We’ll be awarding $500 for the best photos and $1,000 for the best videos weekly. To keep things fresh, we’ll be posting inspirational #GoProSnow ProTips across our social channels. Get warmed up with the following ProTips and check out a few early Award receipients below. 1. Want to freeze a moment on the slopes? Set your GoPro to Burst Photo Mode and choose an interval that matches the speed of your action. 30/3s will capture 10 photos per second, for 3-seconds. Not flying through the air or laying down a huge turn? Try something more mellow, like 10/3s. 2. Mount up your GoPro to keep the whole family in frame. The 3-Way and El Grande mounts are the best for capturing the whole squad. Whereas the Shorty and Handler mounts are pocketable and optimized for tighter selfies—way better for capturing those immersive GoPro angles. 3. For fast-action, try 30/3s Burst Photo Mode or 0.5s Time Lapse Photo Mode. Experiment with the intervals—the more intricate the trick, the more frames you’ll want to capture every detail. And think ahead, wear something colorful to ensure you contrast well against your background. Don’t forget: Everyone loves a shot of the post-trick claim. *Did you think the #GoProSnow Challenge was limited to skiing and snowboarding? Think again. GoPro Awards recipient @giorgioghezzi also earned $500 for this still from any icy adventure after submitting his unedited shot to gopro.com/awards.